Though the undulating landscape, tiny stone hamlets, and abandoned country churches and fortresses stretching across the peninsula lend themselves to some remarkable excursions and make any walker or hiker yearn to set out and explore, unfortunately Italy is not particularly hiker-friendly. The country has been late to the game and spotty in organizing well marked-trails and accessible information regarding itineraries and routes, which can be off-putting for those used to the ease of setting off independently on the immaculately maintained North American or Northern European trails. Tweetable: Italy is best explored by foot, especially its gorgeous countryside, from rolling hills to Alpine peaks to rugged coastline. Most Italian walks and hikes mix stretches of trail (sentiero) with stretches of road (anything from gravel lanes to paved country highways), so unless you are sticking to a very specific, well-marked trail with no crossroads (the famed Via dell’Amore stretch between Riomaggiore and Manarola is an example) , you will need an excellent map or, even better, step by step directions paired with a map, before you set out. Some local tourist information offices are beginning to offer walking itinerary maps and descriptions for visitors, but a better option for advance planning is to purchase an official map of the area you are interested in exploring. The two series of trail maps best known are the Kompass maps (1:50,000 scale) and the C.A.I or Club Alpino Italiano maps (1:25,000 scale), which show trails, unpaved and paved roads. Both of these are readily available at bookstores or larger souvenir shops which carry guidebooks in Italy. 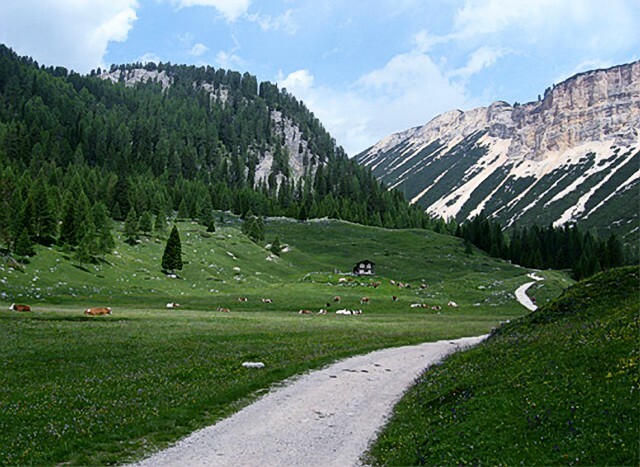 Tweetable: Want a memorable and worry-free hike in Italy? Book a specialized “guida ambientale escursionistica” hiking guide. There are a number of printed guidebooks specialized in walking and hiking in English which offer detailed directions and maps for a number of itineraries on foot—many with helpful information about stops for meals and overnights—which can be purchased online or at bookstores and studied before your trip. The only caveat is that these tend be limited to the most well-known routes and regions and can become quickly outdated as trails and private lands and roads are often closed (or reopened) because of weather damage, shifts in terrain, or changes in ownership. 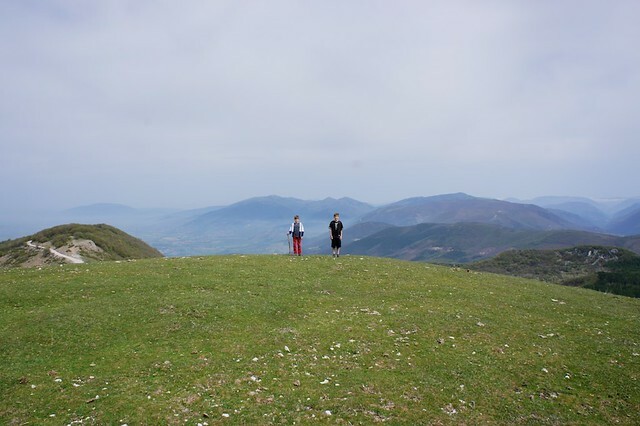 By far the best and safest way to hike the Italian mountains and countryside is by hiring a hiking guide (guida ambientale escursionistica), professionals who are specially trained to accompany hikers and are locally based, so best acquainted with the area’s trails and roads. These experts know where to find the prettiest views, most memorable villages, and perfectly silent woods...all along the safest and best maintained routes. Once you’ve decided on a route, make sure you are kitted out appropriately to avoid injury or mishap. If you are sticking to a flat and even paved surface, gym shoes are fine. But most of Italy’s trails have stretches that are rocky, steep, or slippery (especially mountain or coastal trails), and you will need a pair of light hiking boots with ankle support to ensure that your day—if not entire vacation—isn’t ruined with a fall or twisted ankle. 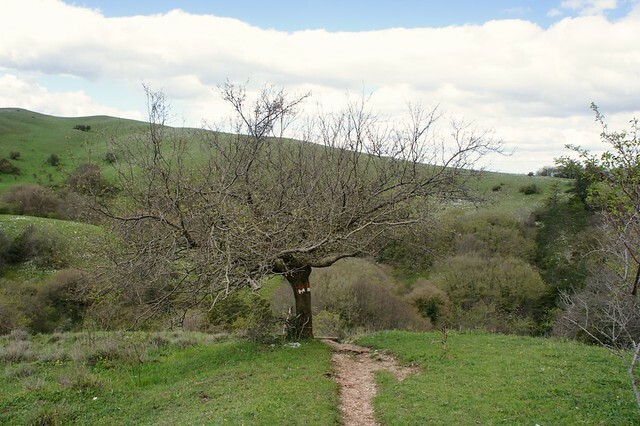 A hiking guide will be able to choose a route appropriate to your footwear if you are unsure, so be sure to ask. You will also need a sun hat and appropriate cover if the itinerary doesn’t offer much shade. Tweetable: Make sure you’ve got the right gear for your walk or hike in Italy to avoid holiday-busting injury or mishaps. 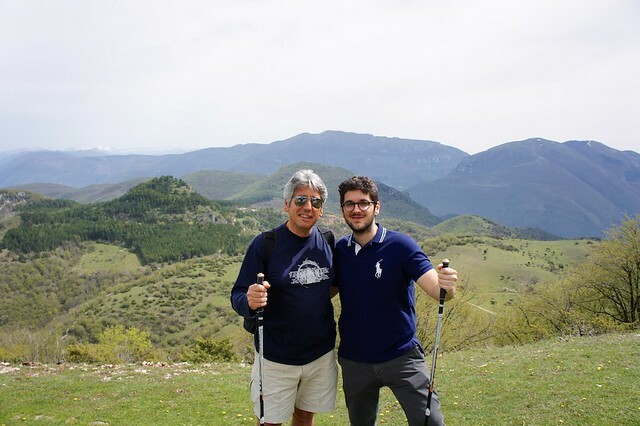 Hunting is a popular and widely practiced sport in many parts of Italy, so it’s a good idea to wear something bright when hiking in hunting season (September through January) and outside of the regional and national parks, where hunting is prohibited. Much of the countryside is dotted with herds of sheep, whose guard dogs can be aggressive while on the clock (give them a wide berth), and patches of high grass or loose rocks where snakes may be out of sight. For both of these reasons, a walking stick is always a handy accessory. Finally, make sure you pack along plenty of water and some snacks to tide you over along the route. Trail markings in Italy are maintained by a conglomerate of volunteer groups (like the Italian Alpine Club) and local government agencies, so tend to be spotty. Again, a good map or printed guide is essential (see above), though hiring a local hiking guide takes all the guesswork out of following the route. Local trails may have their own signage, but official CAI trails are designated with two red horizontal stripes divided by a white stripe through the middle and the trail number. These markings can be painted on anything from dedicated signs to fenceposts, trees, guardrails, and field stones and sometimes it takes a bit of hunting around to spot them. There are pretty walks and memorable hikes to be found almost anywhere in Italy, but here are a few favorites to explore by foot. 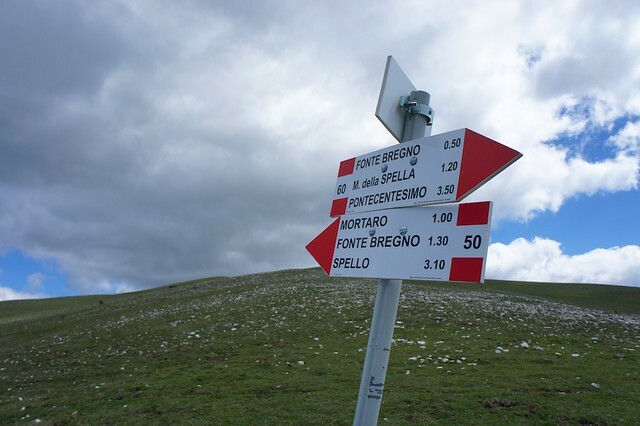 There are mountains across the entire length of Italy, but the most hiked are the Alps and Dolomites spanning the Italian/Swiss and Italian/Austrian borders to the north. These routes tend to be exclusively Alpine trails and are generally well-marked and maintained, but also often quite rigorous and at a high altitude, so to be undertaken with the correct gear (warm!) and footwear. Two of the most popular slopes and peaks for hiking are the area near Cervinia in the Val d’Aosta and the stunning Dolomites, easily reached from Milan or Venice. Tuscany and Umbria have the perfect mix of undulating hills, picturesque vineyards, silvery olive groves, and semi-abandoned hamlets for a day’s walk rewarded with a fabulous evening meal. 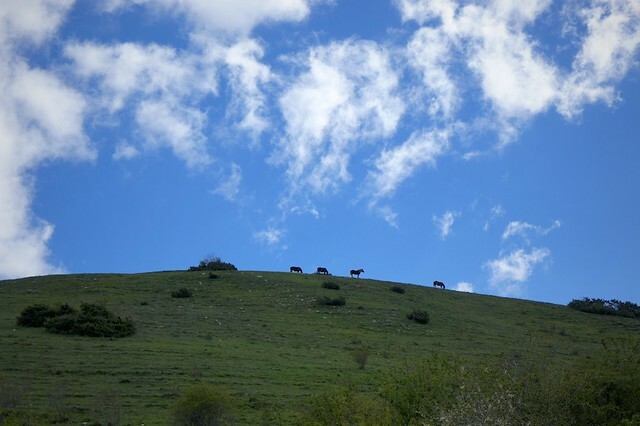 Both have routes that tend to be a mix of trail, country lane, and paved road--though Umbria has a number of natural parks with exclusively trail routes—so hikers will need to make sure they have reliable directions. 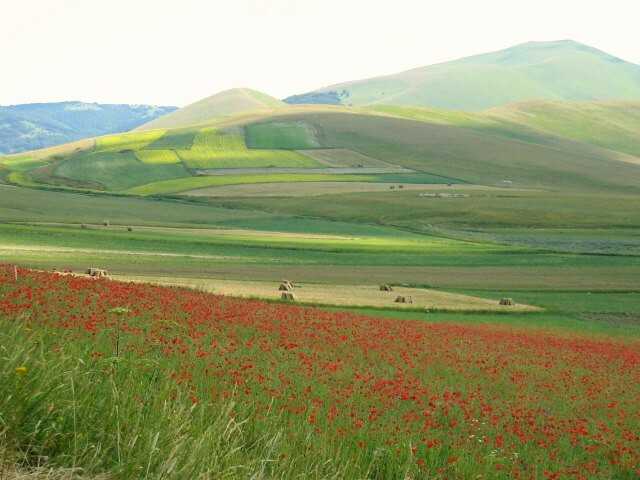 Tuscany’s routes tend to be less rigorous than Umbria’s, but also often offer less shade—don’t forget a hat and sunscreen! Tweetable: Tuscany offers easy walks, Umbria natural parks, the Amalfi Coast rigorous routes, and the Dolomites heart-pumping hikes. The Cinque Terre is known for its coastal trail—Il Sentiero Azzurro--linking its five fishing villages along an 11 kilometer route which takes about 5 hours to complete. The views are lovely, but frequent landslides on the steep cliffs between the towns means that hikers need to make sure their accessibility information is up to date before setting off. The Amalfi Coast’s Sentiero degli Dei, beginning in Bomerano, is another coastal trail which offers up fabulous sea views as far as the island of Capri and passes a breathtaking gorge and dramatic vineyard-covered slopes along the 5 hour route.